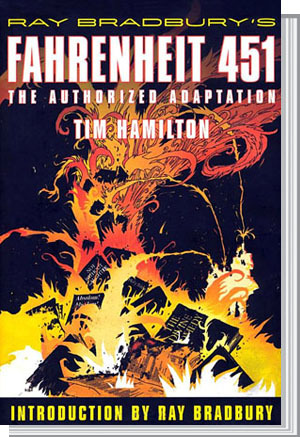 Fahrenheit 451 | Z-File, Inc.
Bradbury’s classic dystopian novel is taught in middle schools across America and around the world. First published more than 50 years ago—and never out of print—Bradbury anticipated and predicted social and technological changes that are still astonishing, even as some of them continue to appear for the first time. He predicted wireless, personal communication devices small enough to fit in a person’s ear. He predicted full-wall, immersive, fully interactive “televisor” screens. And he predicted computers used by the authorities that would store personal and intimate information about citizens without their knowledge or consent. Guy Montag is a “fireman” from a future society where books are banned and firefighters root them out and burn them up – Fahrenheit 451 is the temperature at which paper burns. Citizens are encouraged to spy on and report on their neighbors. Montag knows something is terribly wrong, and seeks answers in stolen, forbidden books. Once he starts questioning the way things are, and why, there is no return. He loses his wife, his house, his job, his status, and must run for his life. 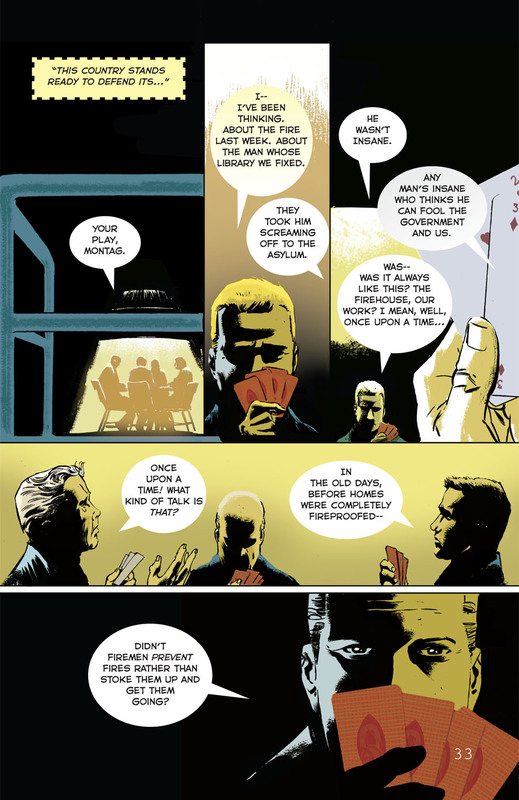 A faithful adaptation of the original, Hamilton’s comics version conveys the social commentary of the novel, while using the images to develop the tone. . . . Malevolent forces and danger lurk in the shadows pervading the suburban home of fireman Montag and his wife, Mildred. . . . The art solidifies atmospheric elements such as the fire and rain; fire, tapering and curling, is rendered into a crucial additional character. 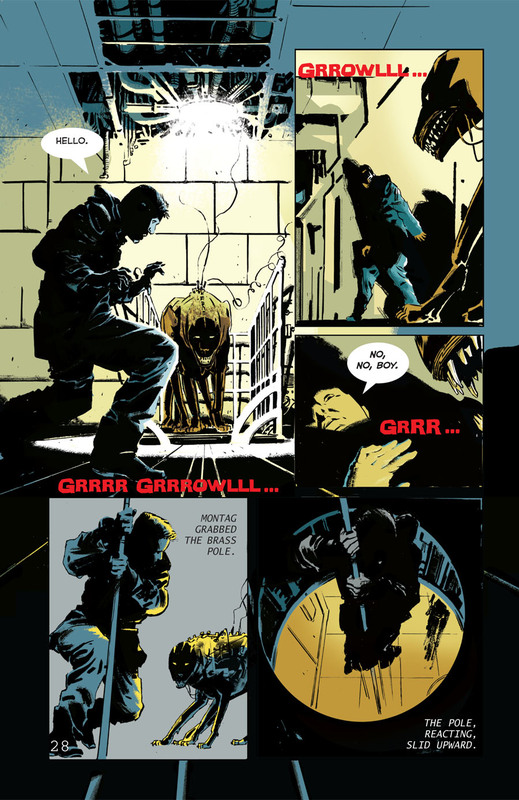 Since the original expounds the importance of valuing and preserving books and knowledge, adapting it into the comics form emphasizes the growth of the medium, as well as its potency across genres and subjects. This adaptation of Bradbury’s iconic classic about the perils of censorship has an introduction by the author that is an insightful discussion of how a story can be altered even by its originator as it takes on new forms and lengths. Hamilton’s moody palette and 1950s version of the future fit well with the original text. . . . Best of all, this rendition of the endangered books themselves shows well-thumbed copies of titles by authors teens will recognize as seminal, such as Darwin and Shakespeare. This is a good crossover graphic novel for classrooms but even better as a discovery for sci/fi readers browsing the shelves. 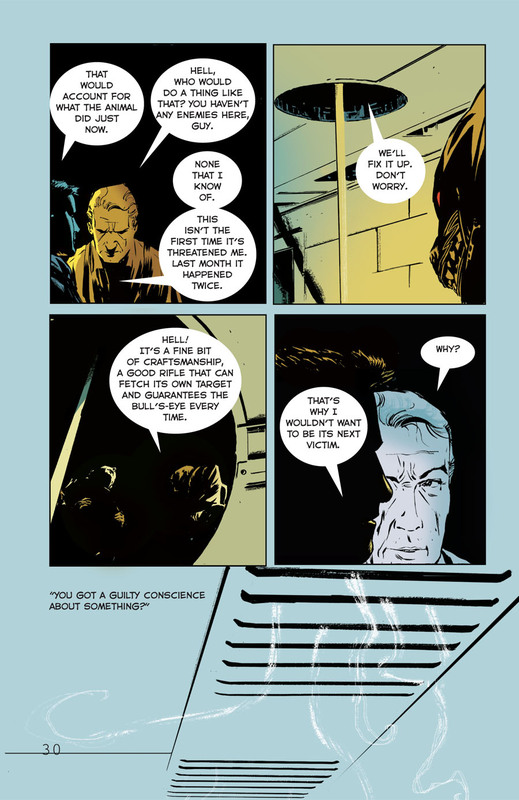 A graphic adaptation of a novel like Fahrenheit 451 is more than just an illustrated version of the original . . . The book has the look of a classic comic. 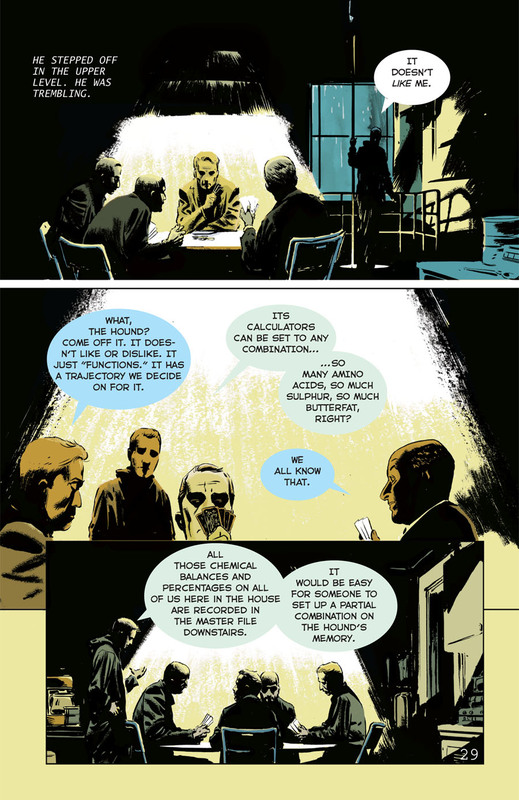 Hamilton deliberately limited his color choices, so much of the book is in the muted tones of blue, green and gray . . . but that is punctuated by the fire scenes, which reflect some of the most memorable passages in the novel. 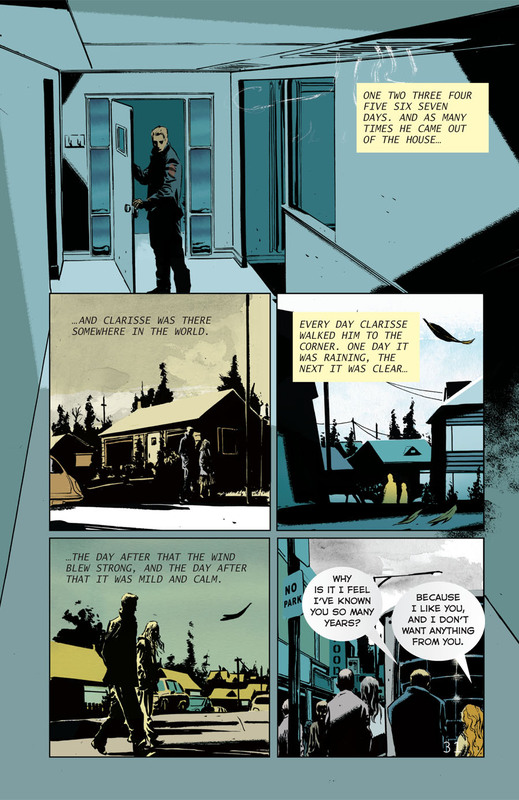 If you know the novel, you’ll still be thrilled by Tim Hamilton’s artwork in this new version, which combines a comic-book clarity—the panels are simple and straightforward, without the distraction of a lot of visual razzmatazz—with a deep, humane rendering of the novel’s theme. Vibrant and vital . . . [Hamilton] saturates the story with his own evocative energy and vision. He doesn’t use all of Bradbury’s words, instead allowing the story’s inherent visual propulsion to add even more depth and texture to an already-indelible tale . . . Hamilton’s arousing adaptation doesn’t just update Bradbury’s novel. It primes Fahrenheit 45, long a staple of high school and college reading lists, for rediscovery. Tim Hamilton has produced art for The New York Times Book Review, Cicada Magazine, King Features,Mad Magazine, DC Comics, Dark Horse Comics, Tozbiz, And Nickelodeon Magazine. Hamilton is also a founding member of the online comics collaborative Activate.com, where he has serialized his stories Pet Sitter and Adventures of the Floating Elephant. 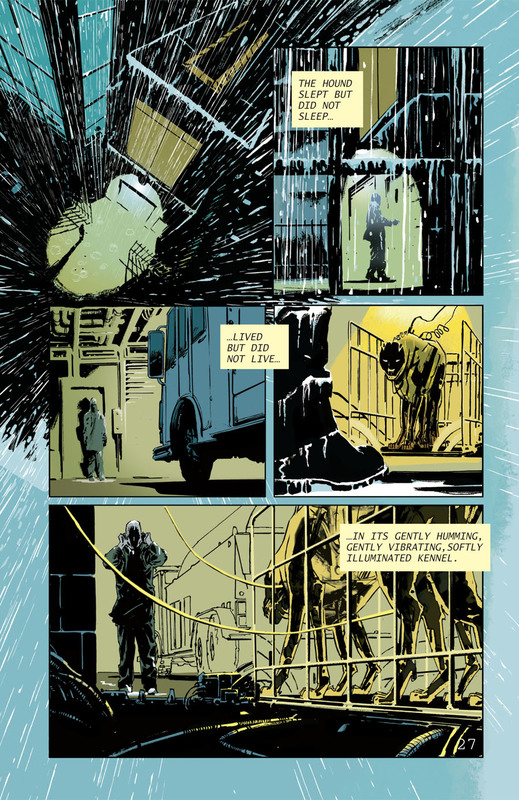 He recently adapted Robert Louis Stevenson’s Treasure Island into a graphic novel.